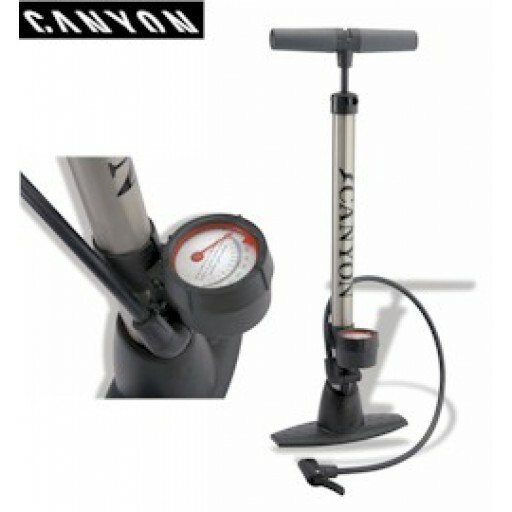 Alloy tube track pump with unique Schrader/Presta twin head connector for all valve types. 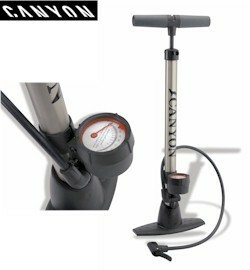 Soft padded handles (Stan has them in his cell) and integral pressure gauge (PSI/BAR) with set pressure level indicator. Tough resin/steel base. 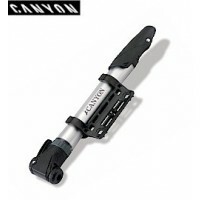 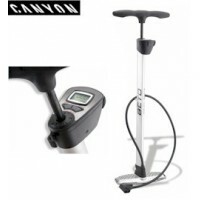 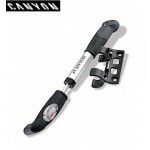 Canyon Deluxe Track Pump (1090) .